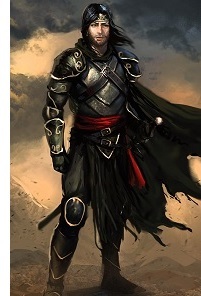 Amandil - The eventual rise of the Kingdoms Gondor and Arnor has its roots in a Númenórean captain named Amandil. He was the grandfather of Anárion and Isildur, the founders of those kingdoms, and was himself descended from Silmarien, the daughter of Tar-Elendil (see Silmarien). Therefore, he was of the royal line, but not the ruling one; and in his time was an advisor to the King of Númenor. However, things changed with the arrival of Sauron.